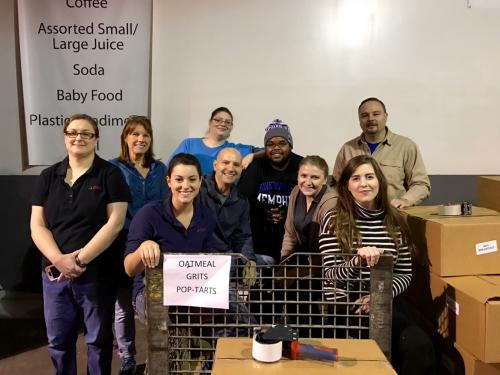 Every quarter, the employees of Absolute Storage Management aim to volunteer in a meaningful way. From helping plant trees at the Shelby Farms Park, to working with the Mid South Food Bank to collect food for the needy, ASM strives to make a difference in the community, all while fostering team growth and development. 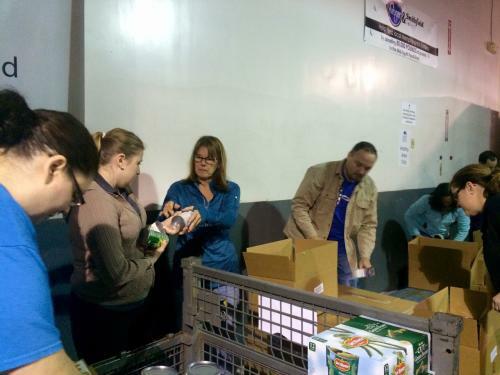 This holiday season, Absolute Storage Management wanted to revisit the Mid South Food Bank to lend a helping hand. The employees gathered at the warehouse before 9:00 am to start training. From there, groups were formed to sort through food. ASM employees sort through crates to see if food is good to donate or if it should be thrown out. While in small groups, volunteers checked expiration dates and the quality of the packaging. This is a crucial, time consuming step in the donation process, as food items have to be checked well before being donated. Once items passed the inspection, the cans and packages were placed meticulously into boxes for distribution. “It created a sense of comradery between us, and I feel like we had to rely on one another to get the job done – just like in the work place,” accountant Aleah Cole said. Absolute Storage Management and FedEx employees work together to inspect food packaging for donation. If you would like information on how you can help the Mid South Food Bank, please contact Clifton Rockett at crockett@midsouthfoodbank.org or at 901.373.0400.